Stacey was great to work with, she takes your input and makes something very personal and unique. I would definitely recommend for anyone to work with her. 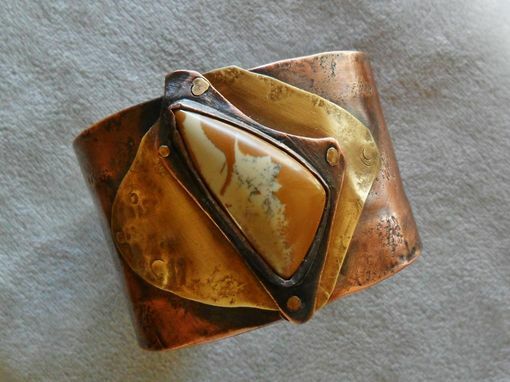 Picture jasper stone set on layers of brass and copper darkened with a patina. Stone is a creamy off white with light brown. 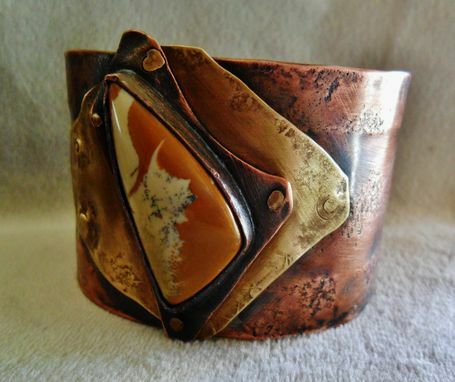 Copper band has neat texture and entire piece has a patina. I love the contrasting tones to the metals. 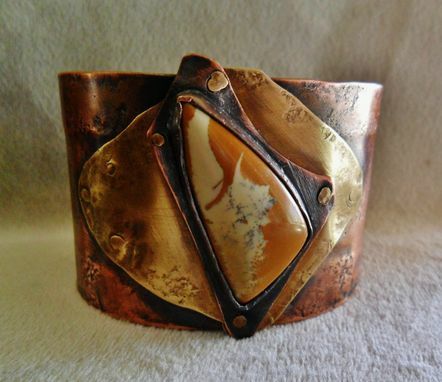 Mens or womens cuff. 1 3/4 inch wide and 6 inches long. 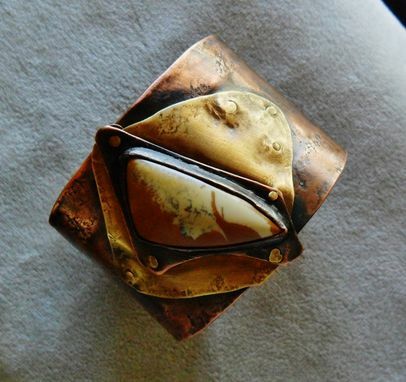 All of my work is custom made from raw sheets of metal or spools of wire and material. 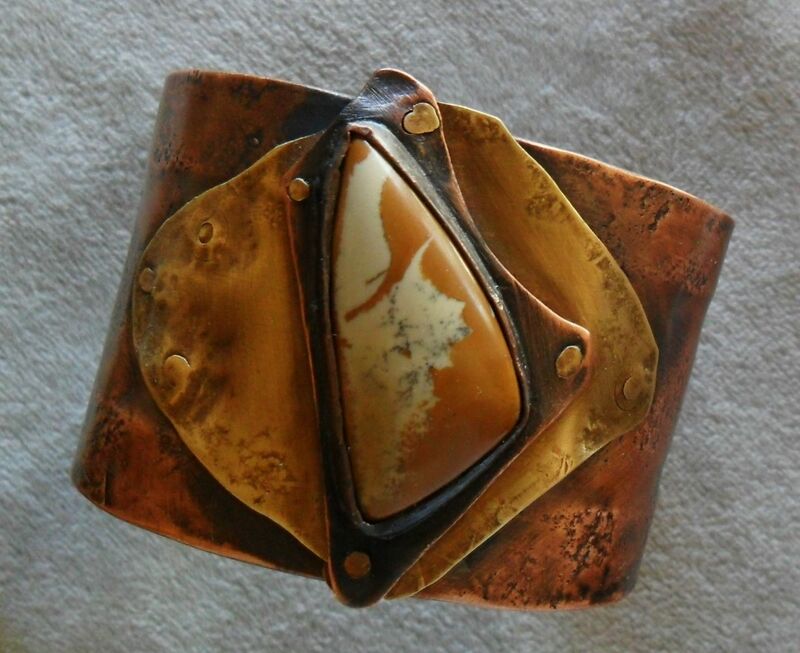 All hand cut, formed, forged, soldered, chased and other techniques I have learned over the past 20 years of creating jewelry. Each piece comes in a gift box and shipped with tracking. I also love doing custom work as well. If you see something or have an idea that you would like me to bring to life with my design style, feel free to contact me. Like me on Facebook as well to stay up to date with events and other possible coupon codes for my shop. Every maker has a story. Be a part of MadiJAXmetal 's story by placing an order, leaving a review, and seeing your review appear here.